Who doesn’t love a great family restaurant outing? It means no cooking, no washing, and the chance to try something new. But kids tend to get served up the same nuggets and chips, or mini pizza option, no matter which restaurant is on the menu. Now there’s a push for restaurants to strip traditional children’s meals of their deep-fried fare. Renown children’s food expert Annabel Karmel tells Babyology that restaurants are under increasing pressure to revamp their children’s menus, and create recipes that encourage healthy eating. But she says it’s only the beginning. Annabel believes a restaurant is the perfect environment to encourage kids to try something new. It prompted her involvement in creating nutritious children’s menus for restaurants in InterContinental Hotels, including the one in Double Bay, Sydney. “We came up with a host of dishes which embraced flavours, textures, smells and tastes that would help ensure a nutritionally balanced meal whilst encouraging young diners to explore something new such as my delicious broccoli and sweetcorn fritters or my special tomato risotto,” Annabel explains. This concept has now expanded even further, with InterContinental Hotel Group partnering with Nutrition Australia to overhaul kids’ menus at Holday Inn Hotels and Resorts. Hotels in Asia, the Middle East and Africa will soon include the menus in their restaurants. 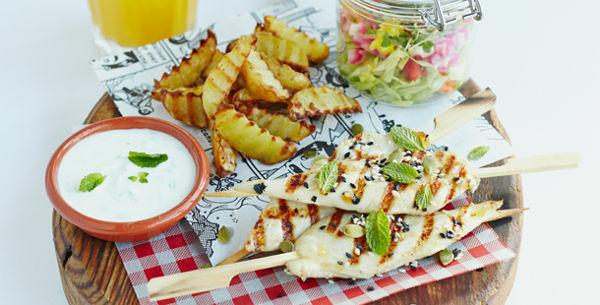 While kids can obviously indulge in party food fare as a treat, Annabel Karmel says there’s no reason why these traditional kids’ favourites can’t be made healthier, and tastier. She says it’s “particularly important given that dining out with the family has become more popular than ever. We need healthier options for families who want the best for their children”. 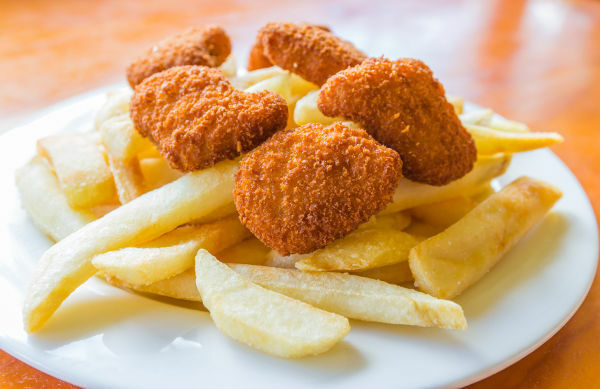 Miriam Raleigh, paediatric dietitian at Child Nutrition, says children’s restaurant meals, like chips and nuggets are fine as occasional treat, but suggests ordering a salad and vegetables for the family. “Some good options for kids menus would be schnitzels (rather than nuggets), grilled fish (rather than fish bites), pasta dishes with lots of vegetables (like how most of us hide vegetables in our bolognaise), pizzas with some vegetable toppings rather than just cheese, roast meats and vegetables and for all of these meals to be served with salads (dressed or not) or steamed/baked vegetables,” she tells Babyology. But Annabel says children’s salad shouldn’t be a ‘side’, nor vegetables an ‘added extra’. Annabel says the changes made to children’s menus can be subtle, but pack a big punch in the nutrition stakes, in a bid to get even fussy eaters out of their comfort zone. The move towards fresher, healthier food for kids at restaurants is gaining momentum. 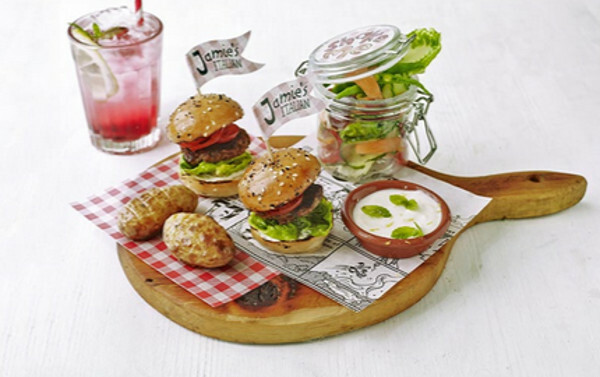 Jamie Oliver has been a vocal advocate of healthier eating for children at home and at school, and he extends that to his children’s menus at his Australian restaurants. The protein portions of the kids’ meals are organic, and as much care is taken in making these meals tasty as it is on the adults menus. Annabel Karmel says she’s impressed with the direction Australia is travelling.